Up to 5,000 current vacancies in the automotive industry causing significant impact on business operations. Groundbreaking new Automotive Council report sets out skills requirements for UK automotive sector, with engineers most difficult to recruit. UK automotive industry workforce now the most productive in Europe – but growth potential could be undermined by lack of new talent. Up to 5,000 job vacancies in the UK automotive industry could be vacant due to a skills shortage affecting the sector, according to a new report published today by the Automotive Council. 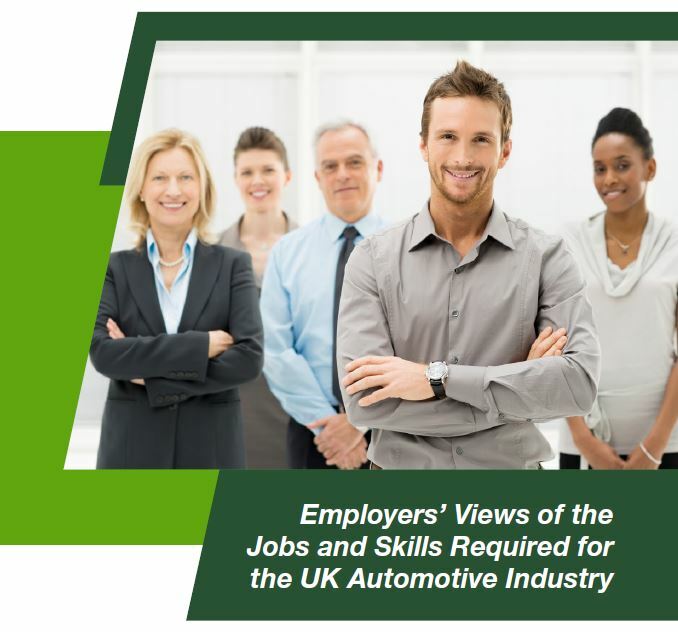 The report, which was developed by automotive industry consultants SMMT Industry Forum on behalf of the Automotive Industrial Partnership, surveys a range of British-based automotive firms, from vehicle manufacturers to component suppliers, to identify the areas of employment most difficult to recruit, and provide an important means for industry and government to tackle the skills issue. Around 19% of the unfilled vacancies cited in the report are identified as ‘critical’ and having a significant impact on company operations. Of the top 10 job types for which recruitment is most difficult, the majority are in engineering – with the top two in-demand roles being design and production engineers. The knock-on effect, according to the report, is that companies are hiring temporary contractors and increasingly recruiting from abroad. The renaissance of the UK automotive industry since the recession has brought significant success to the sector and helped to sustain just under 800,000 jobs across Britain. 2015 was the best year in a decade for car production with 1.59 million vehicles built, and volumes are forecast to reach an all-time record two million by 2020. The UK also achieved notable success in productivity levels, which have increased 40% since 2010 to make UK labour productivity the highest in Europe. But this success could be undermined by the lack of skilled engineers to fill new jobs, despite efforts made by companies to increase training and apprenticeships. Skills Minister Nick Boles said, “Our automotive workforce is the most productive in Europe and this goes a long way to explaining why production hit record levels last year. “But this report shows we cannot be complacent. The sector needs to maintain its high productivity and international competitiveness and address the required demand of skilled workforce, engineers and designers. That’s why our apprenticeship reforms are putting employers in the driving seat, to deliver the high-tech, long-term skills our economy needs. The Automotive Industrial Partnership was initiated in early 2015 by the Automotive Council to bring together major automotive businesses in order to help ensure future skills needs are met for UK vehicle manufacturers and supply chain companies. Since its inception, the Partnership has developed a ‘jobs framework’ – an industry standard hierarchy of roles – to make it easier for companies to structure positions and for employees to follow clear career development paths. It has also implemented a number of new training programmes, and is developing the Automotive Apprenticeship Matching Service to retain more high calibre apprentices in the industry. In addition to the new personnel needed, there are also many new training requirements due to the adoption of new automotive technologies in the industry. According to the report, 71 different types of learning are required for more than 20,000 people working in the industry – 15% of whom have an immediate need for new training. The most critical training requirements are in lean manufacturing (minimising waste), advanced problem solving and tool making. The report sets out a range of recommendations to tackle the skills shortage. These include the implementation of a co-ordinated approach to STEM (science, technology, engineering and mathematics) subjects in schools, as well businesses ensuring that apprenticeship opportunities on offer from government are maximised.